Doctor Doom is a freelance spy-master. The good doctor (as opposed to the far more famous evil villain who would come around 25 years later to harass the Fantastic Four) is the leader of a small group of highly loyal and trained operatives, hiring their services out to nations around the world. The man in charge is never addressed, as far as we can find, by his first name so we only known him as Doctor or by his last name. We also do not know very much about him although we can surmise a fair amount. He and his group operate out of the United States and his makes his home there, lending credence to the fact that he is American. The fact that his son is enrolled in a private boarding school in the States adds to that theory but it does remain just a theory. Doom is likely in his early forties since the images depicting him in the comic record of his adventure clearly show a not-young and not-old man. The fact that Doom has a son who is close to 10 years of age show us that he started a family later than average and since he is at the time of the first recorded adventure already quite established makes us certain his earlier years were spent plying his espionage skills and building up his business. It was during those earlier days that he also made a lasting enemy of the foreign spy, also head of his own organization, called the Falcon. This Falcon is supposedly quite feared by many but still not ferocious enough to be immune to deadly threats by his clients. Helping Doom in his missions are at least 3 operatives: the beautiful and highly resourceful Sonia (no last name given), the dangerous and capable Mark Cameron (also sweetheart of Sonia), and Roark (about whom nothing is known). Also working for the Doctor is his close friend and aide, Igor, a brooding hulk of a man who does not like people messing with his Master. Doom is rather easy to recognize with his slick back dark hair and Vandyke beard which is pointed on both sides of his jaw and comes to a sharp point at the tip. He is prone to stroking this beard while he contemplates his next moves. I do not know for sure which came first but one listing stated (their source unknown) that the comic book rendition was an adaptation of the first Doctor Doom adventure so I will go with that. 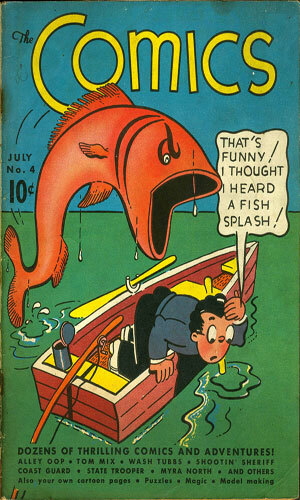 Whitman Publishing made apparently a nice business putting out stories for young people in a couple of different formats. Probably the best known of these styles is their Big Little Book series. Conrad Vane, the creator of the character and author of the two books, did not, from what I can find, write anything else. The government of Balkan nation Returia is hires Doctor Doom to protect their king from their enemy country Merovia. Doing so puts his life and that of his colleagues and his young son in peril. As mentioned in the section on young adult books, it is not known by me whether the comics came first or the Big Little Book did. There are arguments to be made for either. 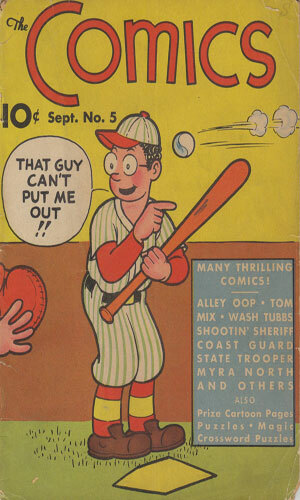 What is known is that the first 5 comics were parts of an anthology publication called The Comics which had a large number of different characters from many different occupations. 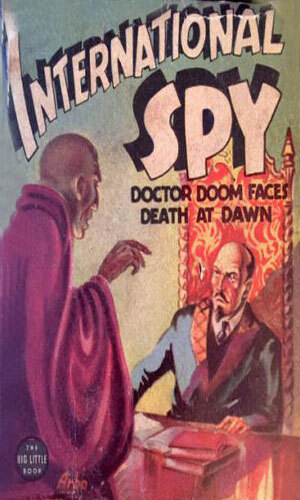 With the large lettered series title of "International Spy", it was pretty obvious that the series was an also-ran as it did not enjoy any publicity. It also did not enjoy very much success as the story was interrupted about a third of the way through the story and never finished. 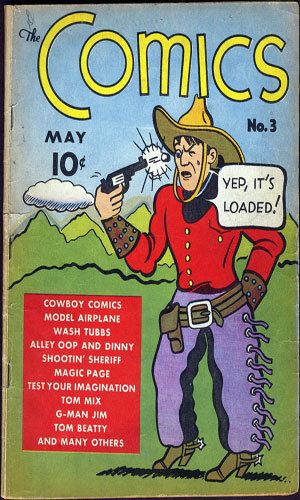 The Comics, published by Dell, only lasted 11 issues and was spread over 2 years. 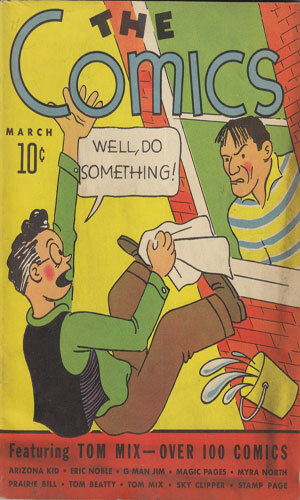 According to the indicia for the comics, initially it was running monthly which lasted 3 months, then shifted to bi-monthly and then shuffled back and forth a couple of times, ending its run as a quarterly. Doctor Doom had 3 pages in each of the first five issues before disappearing forever from the comics. From The Comics #1 - Doom is brought in to come up with a plan to safeguard the King but the Falcon strikes first, taking the king captive to his island. Two of Doom's agents try to find the place and are taken prisoner as well. From The Comics #2 - The king is freed by Sonia and they return to Returia. The Falcon, in revenge, heads to the boarding school Doom's young son attends and pretends to be his uncle, taking that boy hostage. From The Comics #3 - The Falcon demands the Returian war plans in exchange for Doom's son. Searched, no plans are found until a physician for the Falcon uses chemicals to find the plans drawn in invisible ink on Doom's back. From The Comics #4 - Cameron pretends to turn traitor to get away and come up with a plan to free Doom and his people. From The Comics #5 - Cameron finds a way to free Doom and his associates who board their plane to go to freedom but enemy planes pursue them and a crash into the gulf between the two nations takes place. While there were a large number of spies and counter-spies gracing the pages of the comics in the late 30s and early 40s, none of them were the head of his/her own organization. Lots of loners, of course, but not the leader of a band. And to make his business in the espionage trade as a freelancer is also quite unique. Many of the others unaffiliated with a government were adventurers and a couple were soldiers-of-fortune. Doom was a businessman and by the looks of his impressive office and the planes and cars he has at his immediate disposal, a successful one at that. 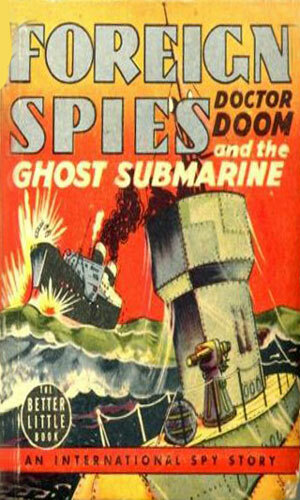 The one Big Little Book adventure of Doctor Doom I have read shows him a man of deep resolve and unflinching nerve. He is loyal to his people, putting himself into peril to try and keep them safe. And he is a loving father because he never hesitated to act when his son is kidnapped. The outlandishness of the plot cannot be overstated, though. Doom is hired to protect a country's king but before he can get started, the king is snatched. Then while working to save him, Doom must also prevent the nation's military defense secrets from falling into bad guys' hands. To keep them safe, he has them drawn in invisible ink on his back (yea, me either!). For a very young person's adventures, these were ideal. 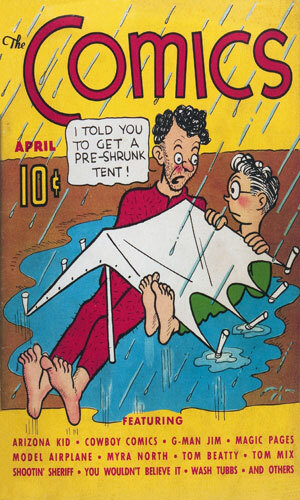 For anyone older than say a tween, not so much, which is likely why they did not survive long in the comic world.